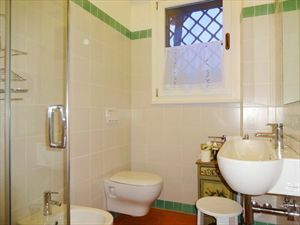 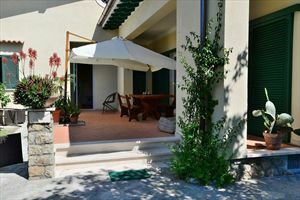 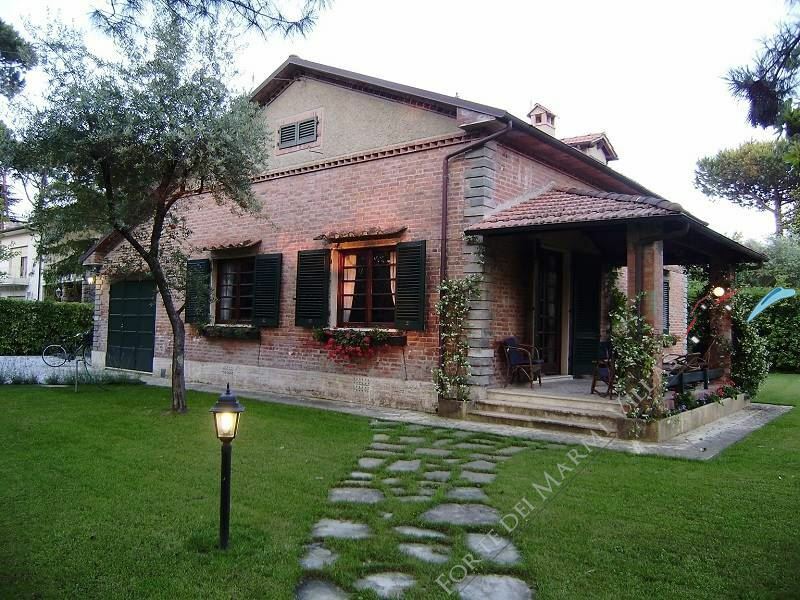 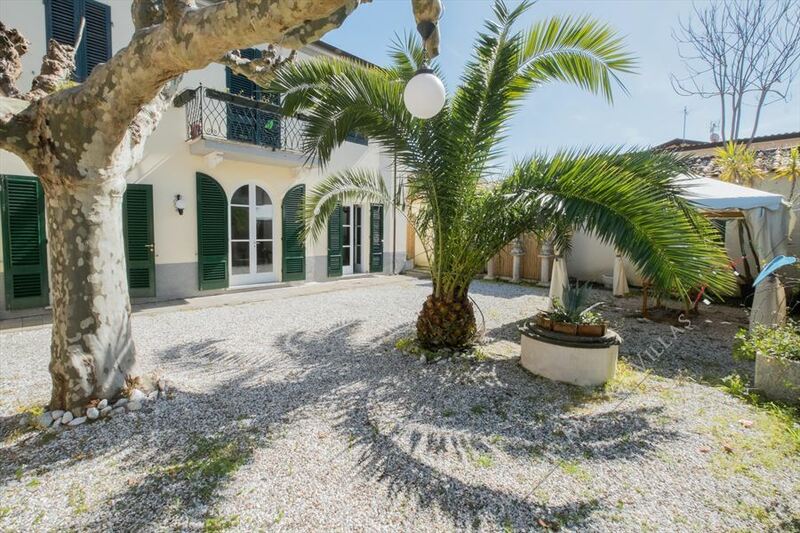 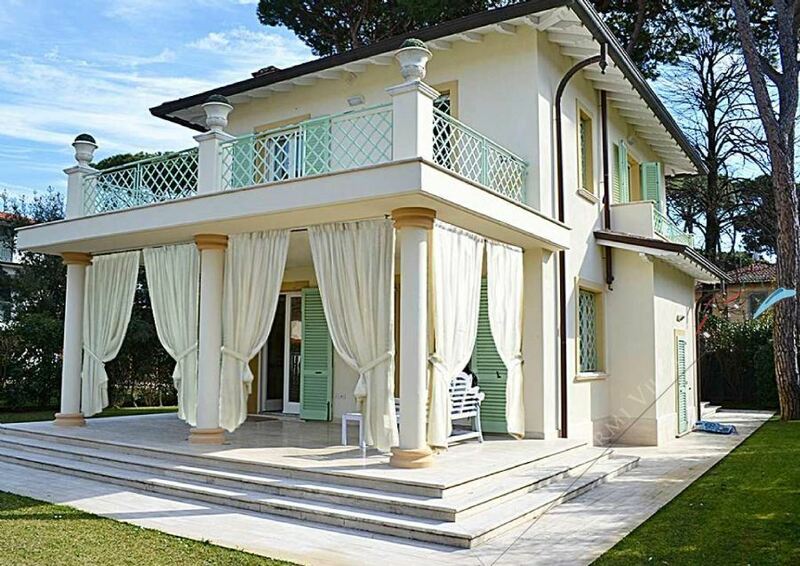 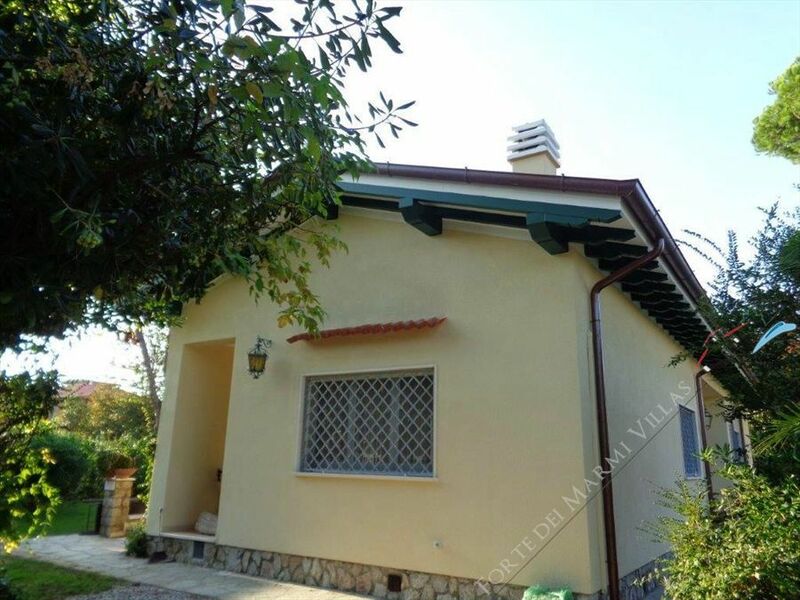 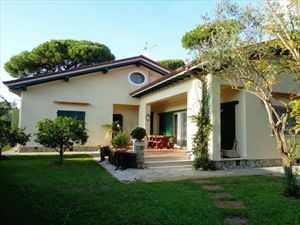 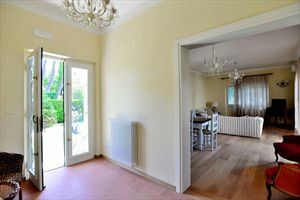 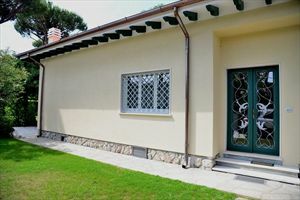 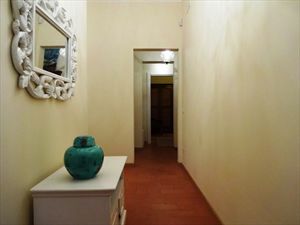 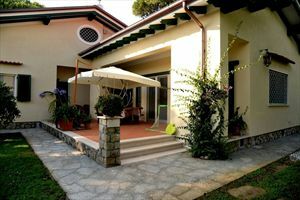 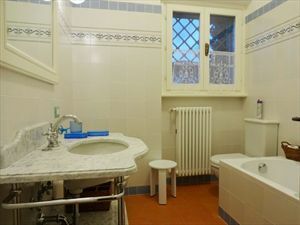 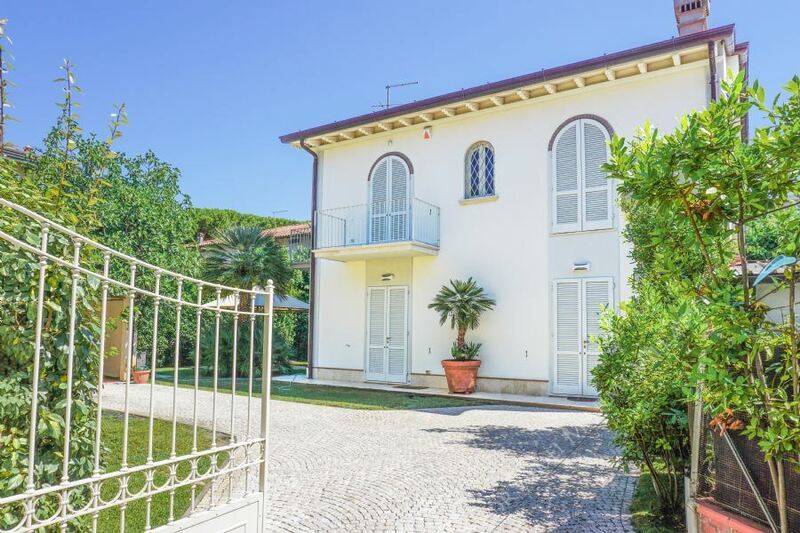 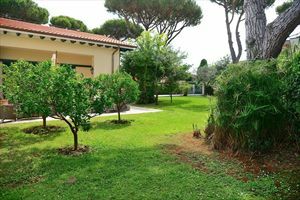 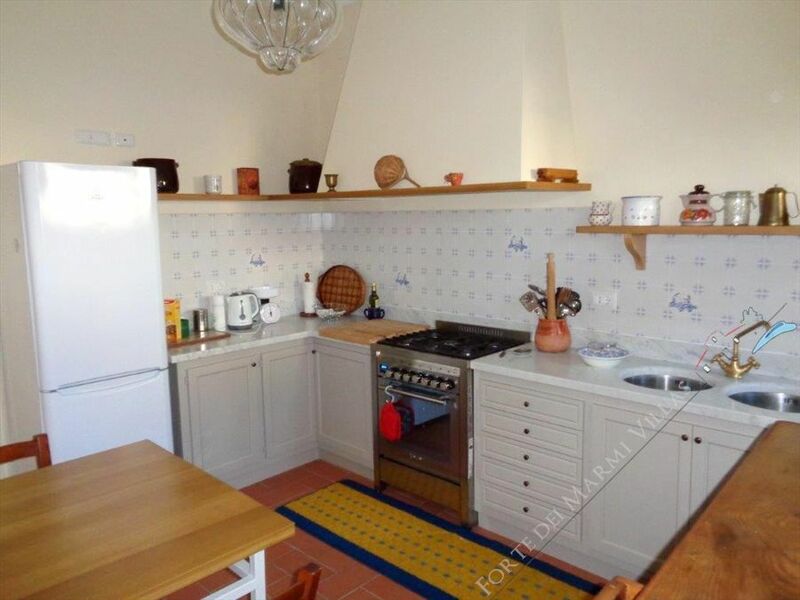 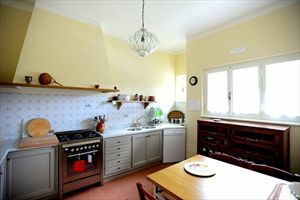 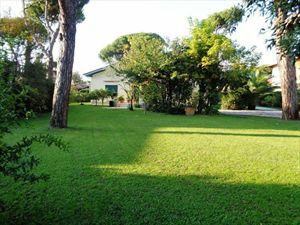 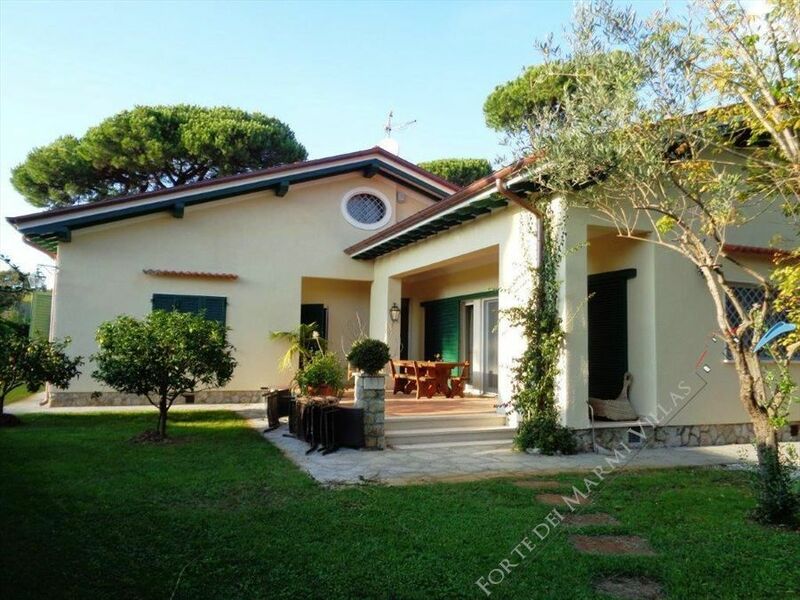 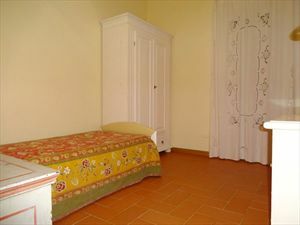 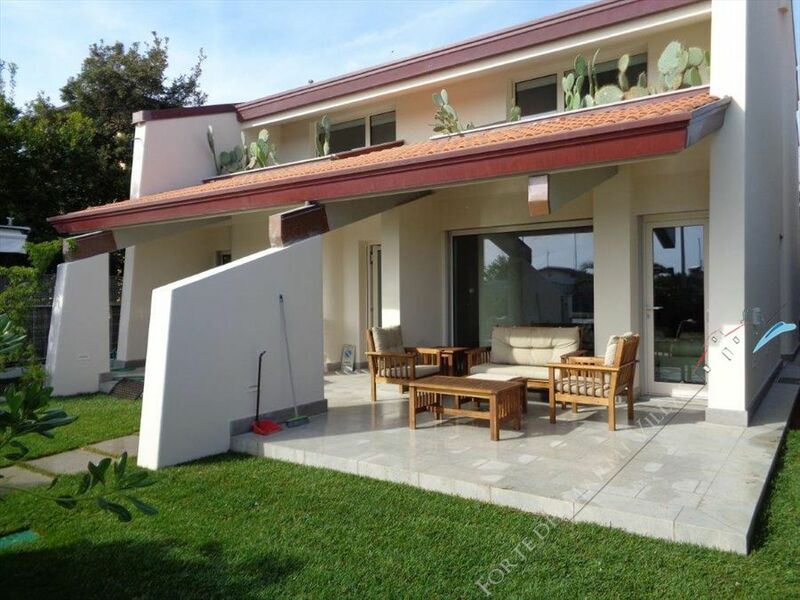 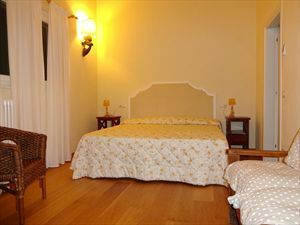 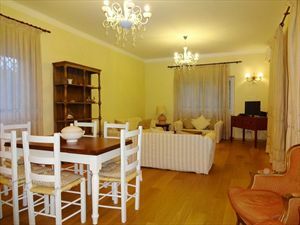 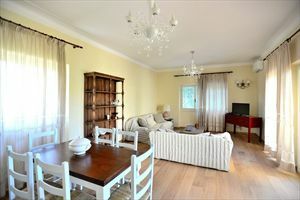 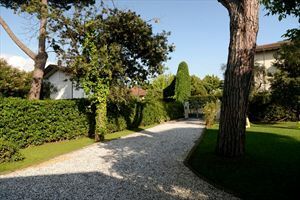 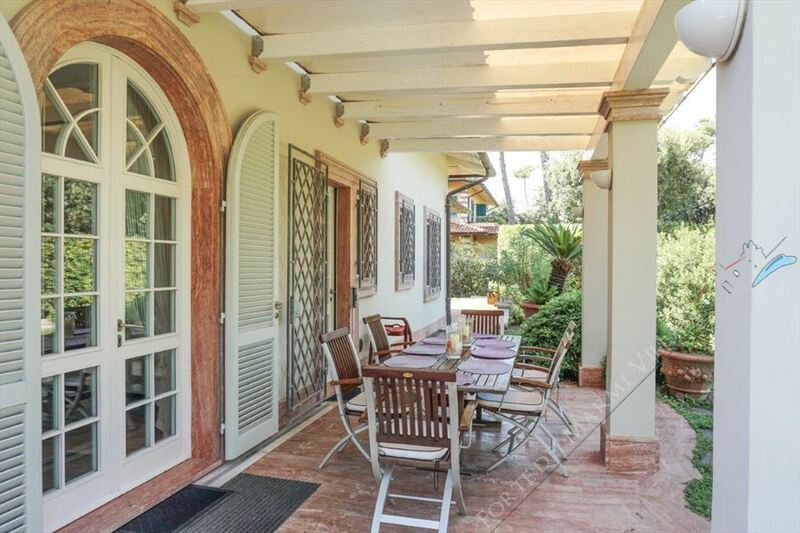 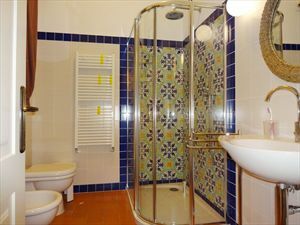 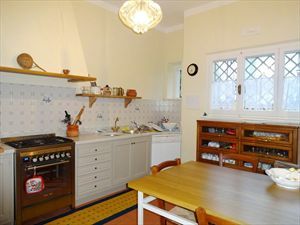 Detached villa on one level with garden (1600 square meters), located on a private street in the center of Forte dei Marmi. 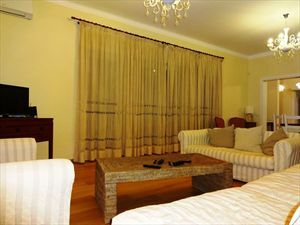 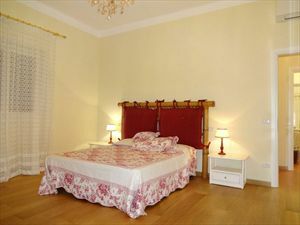 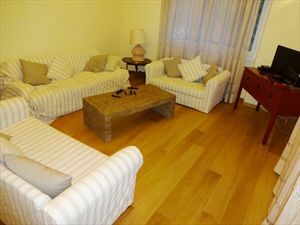 It is equipped with air conditioning, alarm system, Internet, satellite TV, mosquito nets. 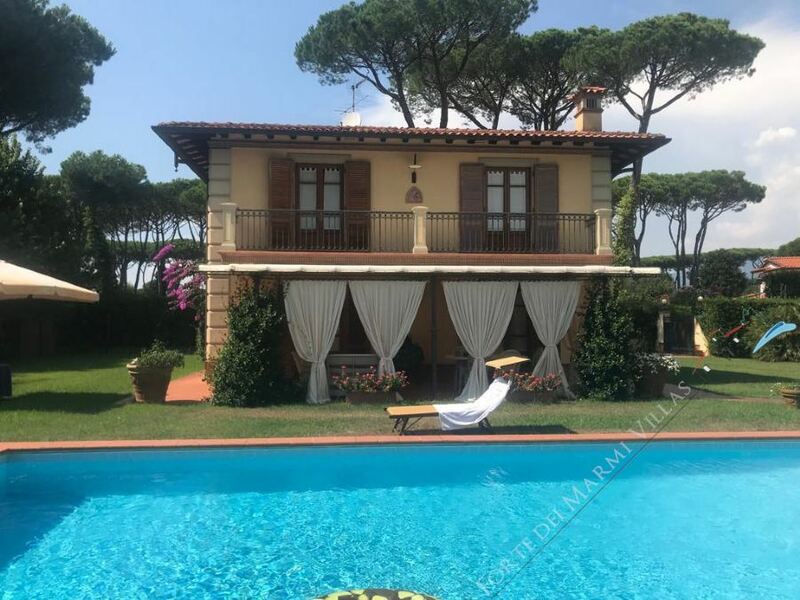 It consists of a large covered terrace provided with dining table and summer furniture, entrance hall, lounge, dining room, kitchen, bathroom with shower, 1 double, 1 single room with double bed, 1 master bedroom with bathroom with shower, 1 double room , bathroom with tub.